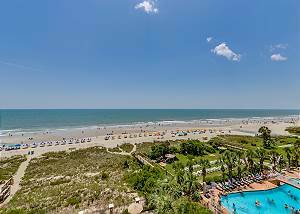 Beautiful updated two bedroom, two bath condo at Carolina Dunes is a great place to relax and enjoy a memorable vacation. Panoramic ocean views throughout the condo and private over-sized balcony make it easy to enjoy beach views and sunrises. Spacious two bedroom, two bath condo at Carolina Dunes is a great place to relax and enjoy a memorable vacation. Panoramic ocean views throughout the condo and private over-sized balcony make it easy to enjoy beach views and sunrises. Beautiful updated condo w/ hardwood floors, stainless appliances and flat screen TV's . Panoramic ocean views throughout the condo and private over-sized balcony make it easy to enjoy the beach views and sunrises. 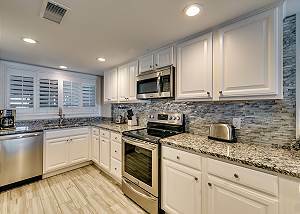 Beautifully updated condo w/ tile flooring, stainless appliances and flat screen TV's . 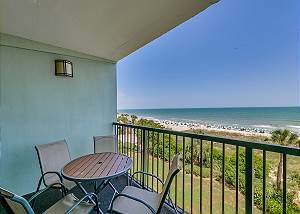 Panoramic ocean views throughout the condo and private over-sized balcony make it easy to enjoy the beach and sunrises. Beautifully decorated 3 bed 2 bath oceanfront w/ new appliances, granite countertops, flat screen TV's in all bedrooms and living room. 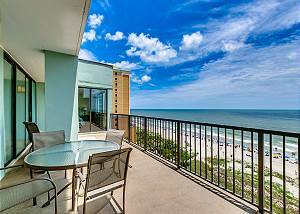 Panoramic ocean views throughout the condo and private over-sized balcony make it easy to enjoy the beach and sunrises. Beautifully decorated 3 bed 2 bath oceanfront w/ new appliances, granite and flat screen TV's in all bedrooms and living room. 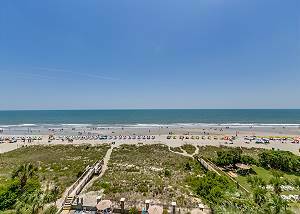 Panoramic ocean views throughout the condo and private over-sized balcony overlooking the Atlantic Ocean. 3 bed 2 bath oceanfront corner. Panoramic ocean views throughout the condo and private over-sized balcony. 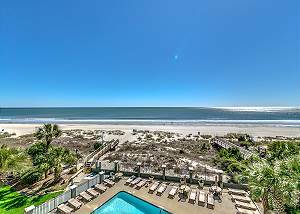 Beautifully decorated 3 bed 2 bath oceanfront corner unit w/ stainless appliances, granite countertops, flat screen TV's in all bedrooms and living room. Panoramic ocean views throughout the condo and private over-sized balcony. This large oceanfront penthouse boasts amazing ocean views with floor to ceiling glass windows that line the back of the entire condo. The condo also features a huge balcony with plenty of room to sunbathe and separate area with table and chairs. 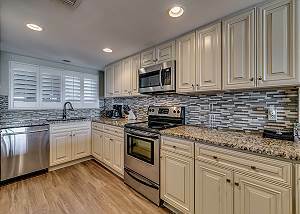 This beautiful updated two bedroom, two bath condo at Carolina Dunes is a great place to relax and enjoy a memorable vacation. 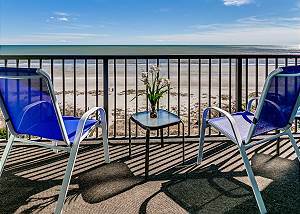 Panoramic ocean views throughout the condo and private over-sized balcony make it easy to enjoy beach views and sunrises. 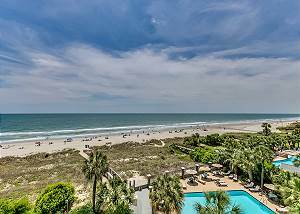 Beautiful updated two bedrooms, two bath condo at Carolina Dunes is a great place to relax and enjoy a memorable vacation. 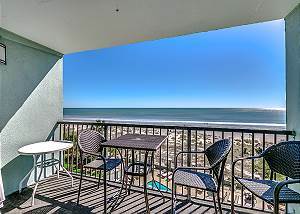 Panoramic ocean views throughout the condo and private over-sized balcony make it easy to enjoy beach views and sunrises.